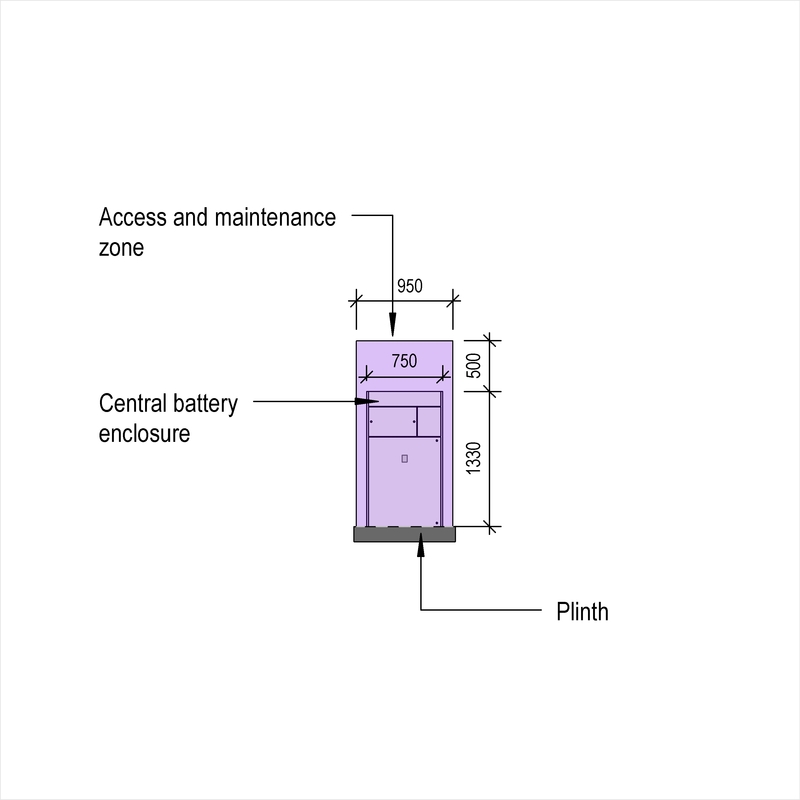 Separate central battery enclosures are described by characteristics such as enclosure, fan failure alarms and vented batteries safety labelling. An example use may be within a small scale wind generating system. Complete this electronic spreadsheet to ensure that your Central battery enclosures product information meets the requirements of Level 2 BIM. This is important as it will enable your customers to select, specify and use your products within the BIM environment. Once you have completed this template you can host it on your own website or distribute it to your customers. Please note that we do not host completed product data templates within the BIM Toolkit. 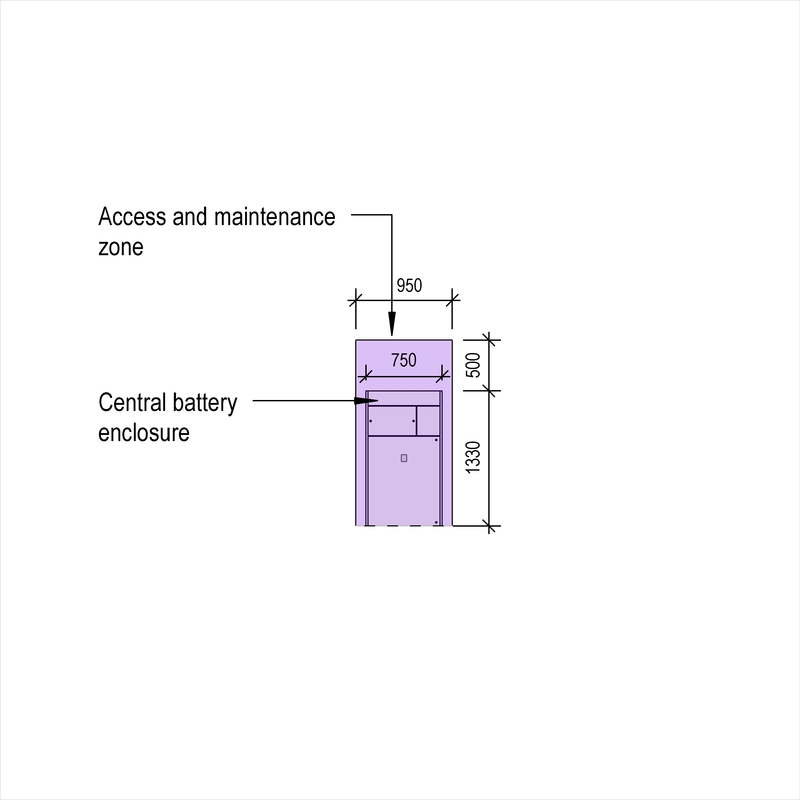 The above illustrations are for Central battery enclosures from the NBS section Batteries and chargers. 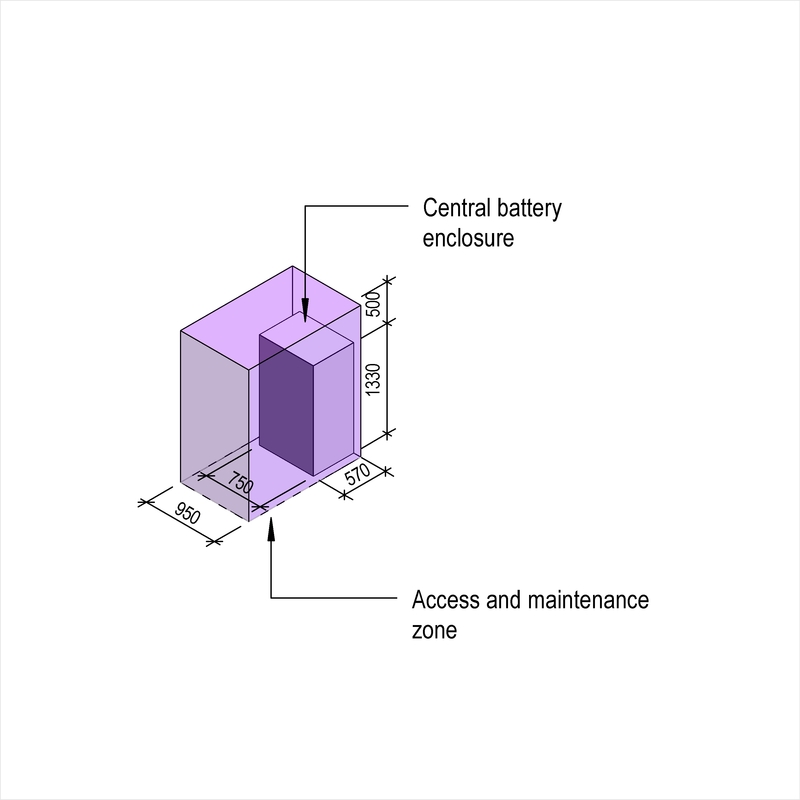 This is indicative of the LOD requirements for Central battery enclosures. 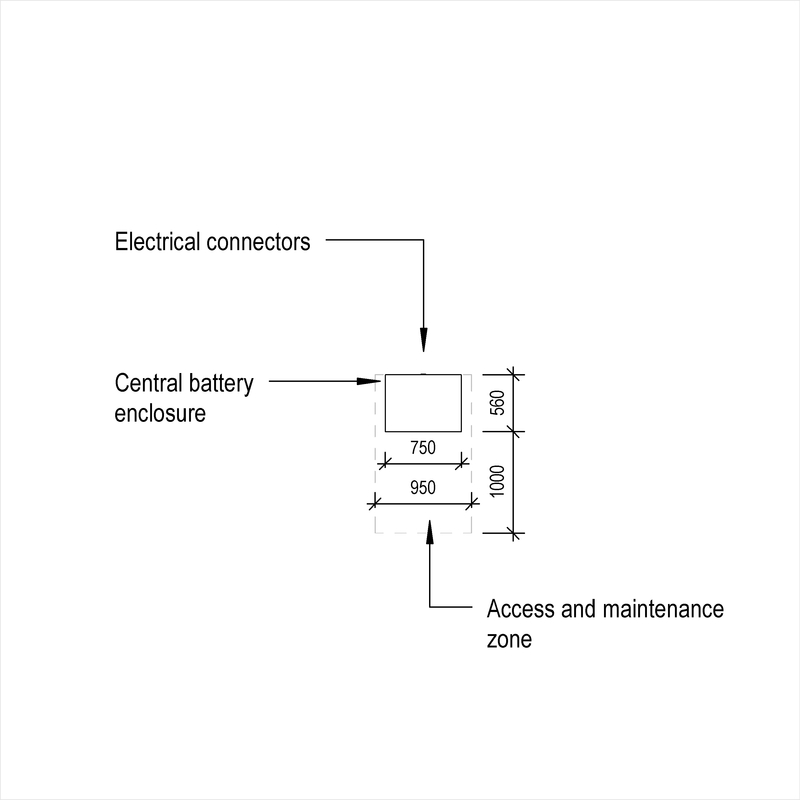 Manufacturer An example value being As static inverter power supply enclosure manufacturer. Enclosure - Ingress protection (minimum) An example value being To BS EN 60529, IP31. Enclosure - Material An example value being Welded carbon steel. Assemble to prevent distortion when the complete enclosure is lifted or transported. Enclosure - Finish An example value being Epoxy powder coated. Enclosure - Colour The Enclosure - Colour of the Central battery enclosures. Enclosure - Mounting arrangement An example value being Floor. 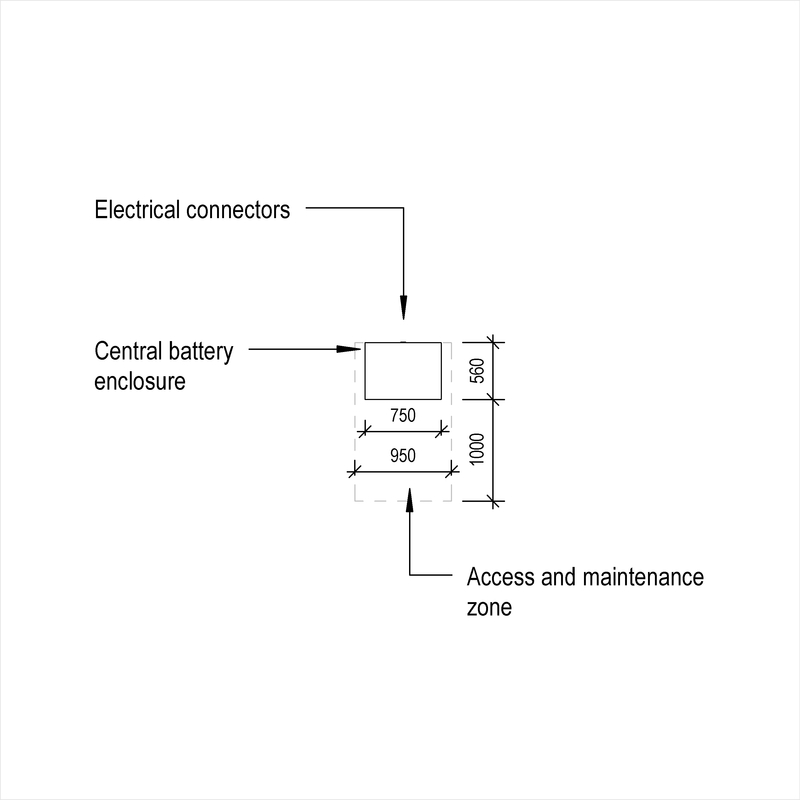 Enclosure - Lockable access doors An example value being Required. 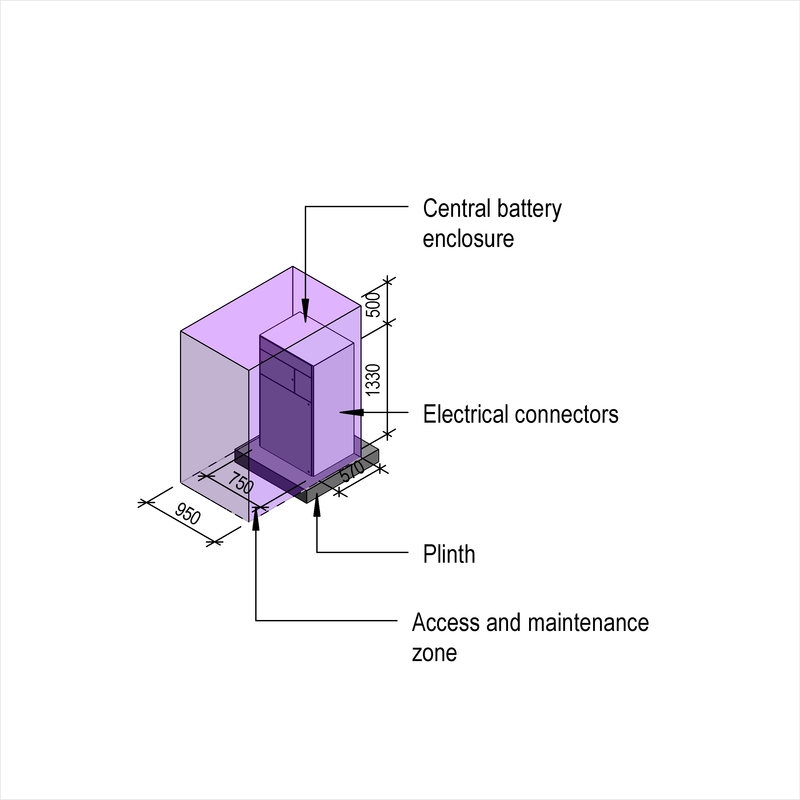 Enclosure - Cable entry An example value being Removable gland plates, for top entry cables. Enclosure - Ventilation arrangement An example value being Duplicate forced ventilation fans. Fan failure alarms An example value being Required. 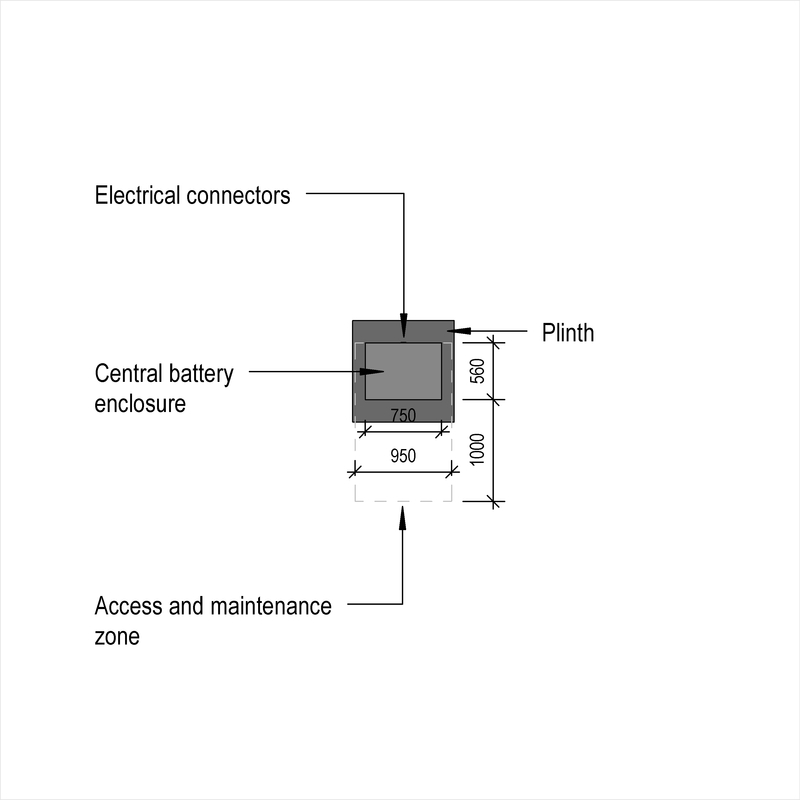 Vented batteries safety labelling An example value being Describe the treatment required following contact with battery electrolyte and warn of the explosion risk caused by naked flames. Noise emission - Sound pressure level in normal mode (maximum) An example value being 60 dBA at 1 m.
Noise emission - Sound pressure level in battery mode (maximum) An example value being 60 dBA at 1 m.